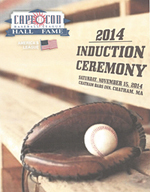 The Cape Cod Baseball League Hall of Fame Committee accepts nominations for the next class of inductees throughout the year. Previous nominations will automatically be included in the process of reviewing proposed applicaions. 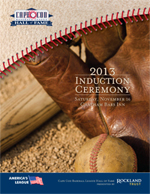 The next Hall of Fame class will be December 1, 2018. The deadline for submitting nominations for the 2019 class is February 15, 2019. The 17th class of inductees will be selected and announced in June 2019.